Beckenham Rugby Football Club was founded on October 19, 1894 with 25 players and a dream. Since then, we have produced two full England internationals in WT Cave and Elliott Daly as well as a plethora of county players. Today, our men’s 1st XV team is top of the league (London 2 South East), our women’s team provide the core of Kent Ladies and our youth section is buzzing. We’re proud of our player pipeline and the majority of our mens and ladies senior teams played their youth rugby at Beckenham; the Blue and Gold Family. We have 500 playing members playing in 17 age groups (youth and senior) supported by RFU qualified coaches. Senior training is on Tuesday and Thursday evenings and youth training is on Sunday mornings. Players of any standard and experience are very welcome so do pop down to our Balmoral Avenue ground and give it a go. To attract players of all ages and abilities we provide outstanding facilities. This costs money. We have fantastic sponsors; local businesses with similar core values to our volunteer-run club. We believe that rugby is about the size of your heart NOT the size of your wallet. To keep membership subscriptions low (by increasing our revenue streams) we will be launching a BRFC 125 Build Project. This exciting initiative will result in improved car parking, a bespoke kitchen / dining room and a members’ gym. We need your ideas, experience and energy to help us raise the funds for the 125 Build! If you can help please get in touch with our 125 project lead, Victoria King at hawthorns80@gmail.com. There are a couple of fundraisers coming up and we’d love you to join us. Our Burns Night (with haggis, piper and dancing) is on February 1 (£20 per person) and the BRFC quiz night is on February 8 (£5 per head). Our next 1st XV match is on Saturday, February 9 and the bar will be open! You can find details of club news / events on our website and you can follow Beckenham RFC on social media. 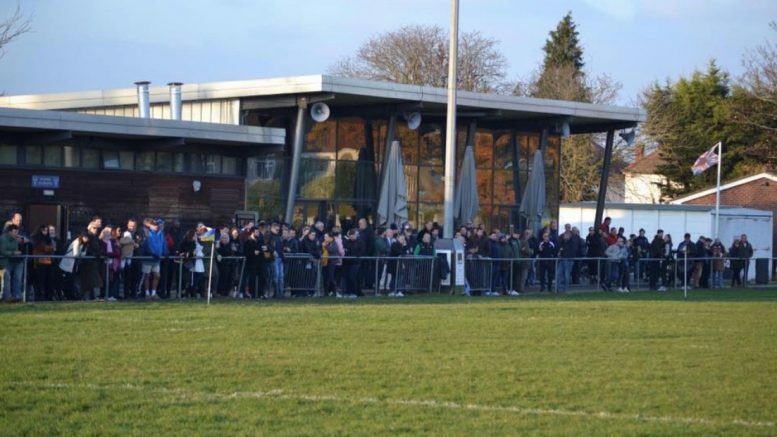 Be the first to comment on "Beckenham RFC – January column"